Valley of Shadows | What The Fest!? BEFORE THE FILM: Hillery Bosworth (bio below!) guides us into the human mind touching base with how we construct meaning. Our minds are meaning-making machines constantly interpreting, making the unknown into some form of the “known” that is a creative mix of perception and projection. How can we lean into psychoanalysis to understand? AFTER THE FILM: Join us for a reception happening from 8:30 – 10:30 at Vol de Nuit. Bring your ticket stub for free drinks! Co-presented by Shudder. USA PREMIERE In a small village at the bottom of a wild valley, Aslak (the absolutely mesmerizing Adam Ekeli), a small boy with his eyes wide open, stares at a bloody scene of mysteriously slaughtered sheep. Later that day, at home, he sits in a tub filled with hot water and wonders about the creature that killed the sheep. His brother has recently gone missing, too, and as Aslak secretly goes through his vanished sibling’s room and things, the young boy tries to understand where he could be. Their mother, unable to deal with news about her older, drug addicted son, doesn’t pay enough attention to Aslak, and when one night during a full moon their dog Rapp, Aslak’s best friend, also goes missing, the little boy packs himself a tiny sandwich and ventures alone into the deep, dark forest. Norwegian director Jonas Matzow Gulbrandsen’s first feature is an incredible Scandinavian Gothic fairy tale. 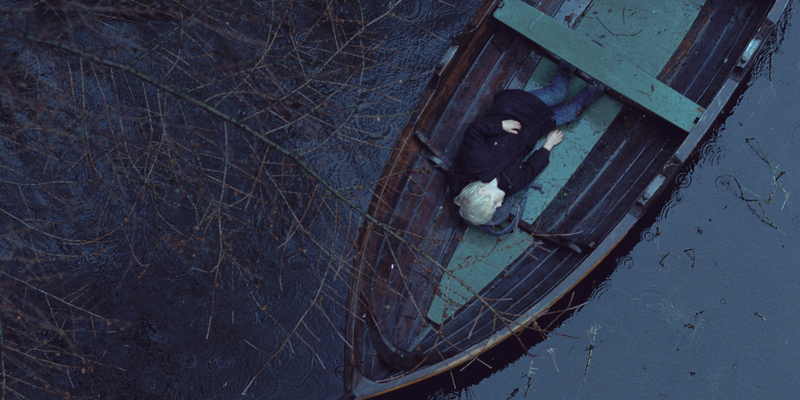 Shot on 35mm in somber tones and beautifully gloomy light by his brother, Marius Matzow Gulbrandsen, the film’s images will haunt you long after the movie has ended. Filmed along the stunning southwest coast of Norway, a region filled with mountain-top marshlands and ancient trees that’s enshrouded in mist almost year-round, it brings viewers into a hidden world. Adam Ekeli’s chilling performance as Aslak nails us to the screen, and the majestic score by the legendary Kieslowski collaborator Zbigniew Preisner (in collaboration with The Warsaw Symphony Orchestra) is a cherry on top of a fantastic film. With nods to “Peter and the Wolf,” the paintings of Gustave Doré, Albrecht Dürer and Lars Hertervig (and perhaps even Sendak’s “Where the Wild Things Are”) VALLEY OF SHADOWS almost creates a new kind of Norse mythology of its own. Don’t miss this chance to see it on the big screen. Hillery Bosworth M.D, is Assistant Professor of Clinical Psychiatry, NYU School of Medicine Lecturer in Psychiatry, Columbia University. She is also President of Association for Psychoanalytic Medicine and after graduating Yale, Hillery has made a career out of understanding the process of Psychoanalysis in depth.